Long lines of mechanization, which would eventually surround enemy pockets. Really just a gesture, don’t need to sacrifice a lot. Russia saw this as a way to expand empire, it was very one sided. 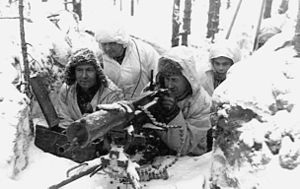 Finland fought with war tactics, Russia lost many men in trying to subdue Finland though at the end are successful. View Blitzkrieg and over 3,000,000 other topics on Qwiki. Summary: The Germans begun a war by invading Poland using the Blitzkrieg warfare and Russia occupied the Eastern half. Both are successful.